Last week our "one true pairing" finally came together, so in Korean drama world, that can only mean one thing... it's time for the CURVEBALL! The tilt comes in the form of Perm Boy's mother (Perm-Mom?) who does not approve of the sorta cute and cheesy relationship we've grown to tolerate over the past nine episodes. In this episode, we analyze her multi-phase Machiavellian plot to separate our plucky heroes. Will she succeed? 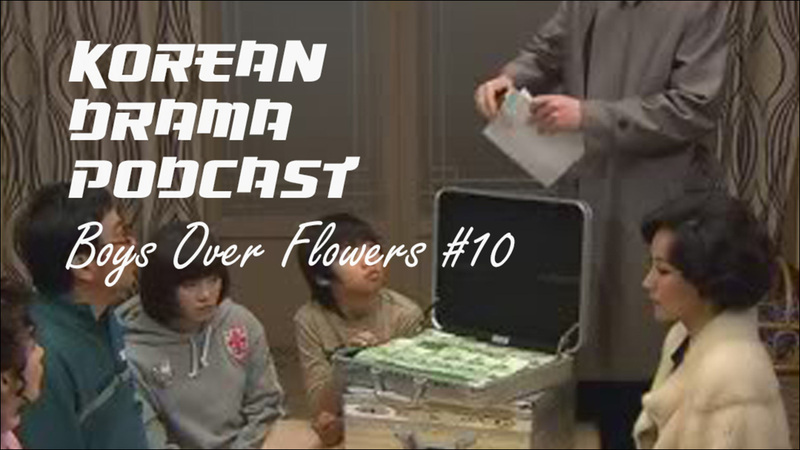 Boys Over Flowers is currently available for streaming on Netflix, DramaFever and Viki. Watch (or re-watch) the series, then break it all down with us weekly on the Korean Drama Podcast.